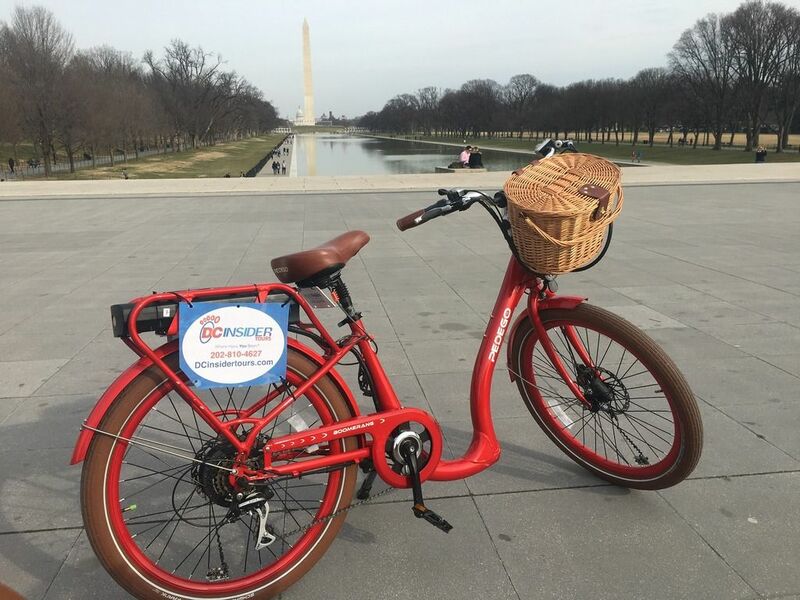 The best way to zip around DC! If you are in Washington DC, you must check out the amazingly awesome Full Throttle DC with our friends from DC Insider Tours. This three-hour+ tour uses top of the line electric bikes to see the whole city in the span of a day – yes, ELECTRIC bikes, so you can pedal if you want but you don’t have to (read: sit back, relax, and enjoy!). On a private tour, the extremely knowledgeable and accommodating guides cater to exactly what you want to see or you can join a group tour and see hidden gems including: Ford’s Theater, Hain’s Point, and Blagden Alley. You”ll be lead through the city using bike lanes and sidewalks so you’ll always feel safe. The helpful visual aids they use (e.g. old photographs, maps, etc.) give context into the deep history of the city and point out areas of interest that you wouldn’t normally notice. The bikes are super easy to use and come with helpful features like locking baskets, deep step thru, and comfortable seats. Plus, there’s the added bonus that since you’re on bikes, you don’t have to worry about parking, and it’s easy to get right up close to sites like the steps of the Lincoln Memorial. The Full Throttle DC tour is highly recommended and provides an intimate and fun look at DC – be a true insider with DC Insider Tours! Geocaching App by Groundspeak Inc.